After my son, Ethan, was diagnosed with a rare and fatal genetic syndrome called with Hunter syndrome, my husband, David, and I were offered a place in a support group for parents who are raising children with special needs. We didn’t have a babysitter, so I found myself sitting alone in a circle surrounded by strangers four months after Ethan was diagnosed. We all introduced ourselves. I remember the relief I felt when the first person just said their name and nothing about their child’s diagnosis. Just their name. I thought I could do that much. I smiled as I tried to remember the two women’s names who were sitting on either side of me. If I could do that much, at least I’d be able to chat with them over the coffee break. “OK, guys. Now, I know we have a few new faces in our group. Perhaps you could just give a quick little intro about yourselves, your families and the reason you’re here on this beautiful summer evening,” the woman leading the group said. My concentration was interrupted. I couldn’t remember anyone’s name. I smiled, hoping there was another new person in the group other than me. A woman to the left of the group leader began her story. I sat straighter in my chair, hoping I wouldn’t cry. 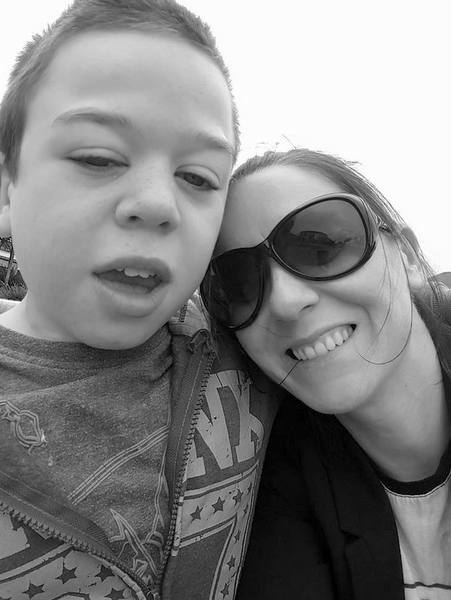 I sat and listened as she told us all of how her boy was born with Down syndrome. How she was devastated. How her life was going to be so very hard. I took a deep breath. The man next to her was here because his son had to (maybe) wear hearing aids for the rest of his life. The woman next to me was devastated that her daughter had learning difficulties. It was hard to explain simple tasks to her daughter and taking her a long time to learn. It was now impacting on her marriage. This shocked me. They all looked at me. My mouth was dry. I didn’t want to say anything. I felt my eyes sting. This was the wrong group. Get out, get out, my mind was screaming. I felt anger. I didn’t want to feel anger, but, honestly, that’s what I felt. I was angry at my doctor for recommending we attend. I was angry at each parent who spoke so far. I was angry they were all waiting for me to share. I took another deep breath, cleared my throat and almost in a whisper said, “I’m here because I was told it would help, but…” I looked at the floor, rubbed my sweaty hands together and felt my eyes get wetter. I shook my head, hoping they’d move on. I kept my head down as I watched all the legs leaving the room. The leader stayed, patting my back. I felt uncomfortable. I’m not good with people being too close to me, and boy, was this woman close to me. “OK, Ger, they’ve all left,” she said. “Sorry,” I said, wiping my eyes. I was now embarrassed and felt like I was causing a scene. “Emotions are raw. You’re new so I am going to assume you’re also new to the diagnosis your child has been given,” she said. “All I am ever given is a name, I know nothing else. I’m not able to help you come to terms with it if I don’t know what it is?” Her voice was soft and low. I took the pen. My hand was shaking as I wrote, “Hunter syndrome, rare, dying.” I dropped the pen and I wept. I let it all come out while she rubbed my back. “I don’t know what to say except that I am truly sorry,” she said. I took another deep breath, and she rubbed my leg as the room began to fill again. “I will give you a number, Ger, and I want you to use it.” She ran over to her handbag and handed me a card. “Thank you,” I said, wiping my eyes. She smiled as I quietly left the room. This is the side of being a parent like me that I don’t talk about much — the emotional side, how hard it is to sit and talk openly about the diagnoses our children face. 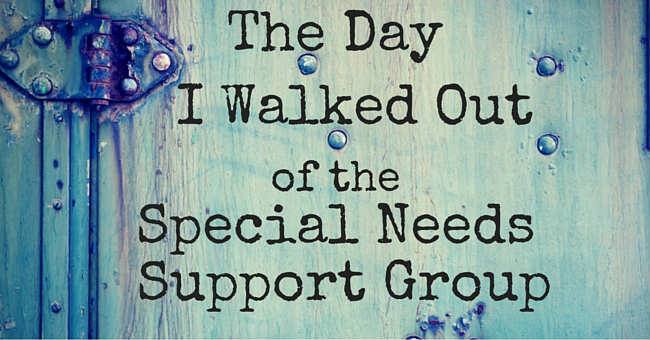 Yes, this particular group was not the right fit for me, but I could see how it was helping others and how easily they vented, shared, listened and helped. I rang the number on her card and sat in a small room weeks later for my first of many counseling sessions. I learned a valuable lesson from the group leader. Sometimes the only way we can communicate when the words hurt your heart is through writing. This is my therapy, and you, the reader, are my kin. I am Ger; wife to D and mother to three wonderful boys; Ethan, J and toddling D. We live in Ireland. I write about our life and the lessons my boys have thought me. Ethan has a terminal condition; J has ADHD and the toddler runs the house! We are trying to learn how to live, love and laugh again after Ethans diagnosis (of Hunter Syndrome ) in 2008. Ethan has thought us many things; the three L's being the most important -live, love and laugh. ..life is indeed too short. Follow me at my blog, GeraldineRenton.com and Ethan's Facebook page.